In today’s world, there are few skills more important than Language Arts, especially as we grow more and more dependent on correspondence through digital media. Without a proper Language Arts education, communication would be nonexistent and society would suffer for it. It is thanks to Language Arts teachers that the majority of us are able to convey ideas in a succinct and comprehensible way and, if you are on this page, is the type of career you’re aspiring towards. Being an English Language Arts teacher in the state of New York requires more than simply completing your training courses. 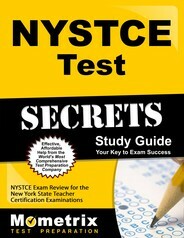 You must also pass the NYSTCE English Language Arts exam. Without completing this important final step, you cannot officially launch your career. Like its sibling tests, the NYSTCE English Language Arts exam is timed. Specifically, you will be given 195 minutes (or 3 hours and 15 minutes) to complete 91 questions. The exam’s content is much like you would find on the average Reading exam, but also a bit more intricate. While the majority of the exam is multiple choice (“selected-response”), one question will require an essay answer (“constructed-response”). To help you perform at your absolute best on this exam, the Mometrix Test Preparation team has composed an NYSTCE English Language Arts (003) practice test. This free study tool has been designed with the help of thorough research, all to ensure you’re able to gain as accurate a preview of the real exam as possible. 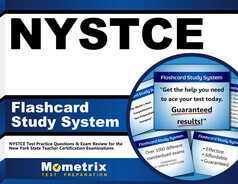 We hope our NYSTCE English Language Arts practice test will become a valuable part of your study plan. For best results, we suggest pairing it with our complementary NYSTCE English Language Arts study guide. You can find both of these tools on this page. Good luck!